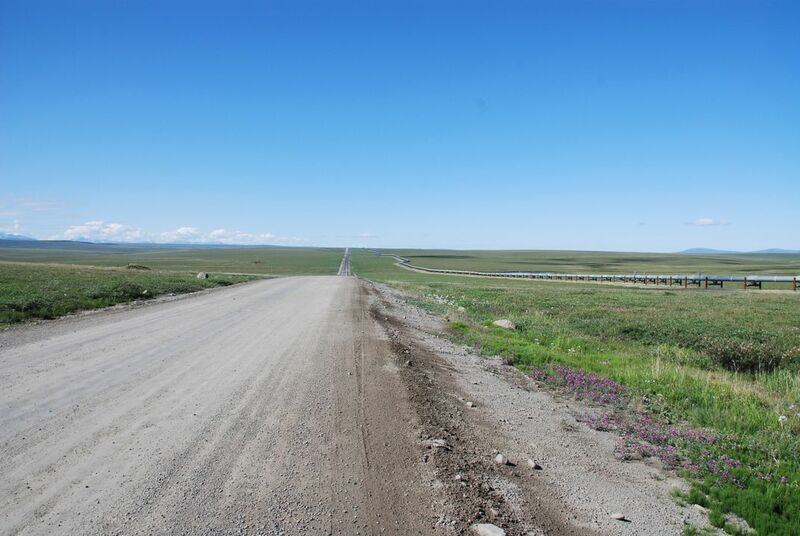 Looking South on the Dalton Highway. You can see the Brooks Range in the distance and the Alaska Pipeline on the right. Date Uploaded: Nov. 28, 2009, 4:52 p.m.